Best Electric Power Mobility Scooters and Chairs for Seniors! 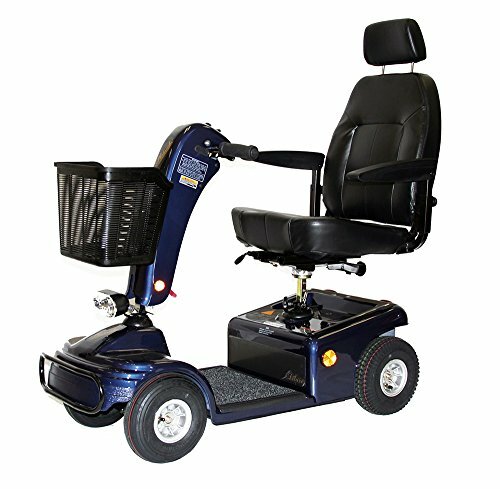 My Top Favorite Awesome Mobility Power Scooters and Chairs for Seniors and Disabled! There are two kinds of scooters for seniors, basically: battery powered recreational scooters and mobility chairs or power mobility scooters. 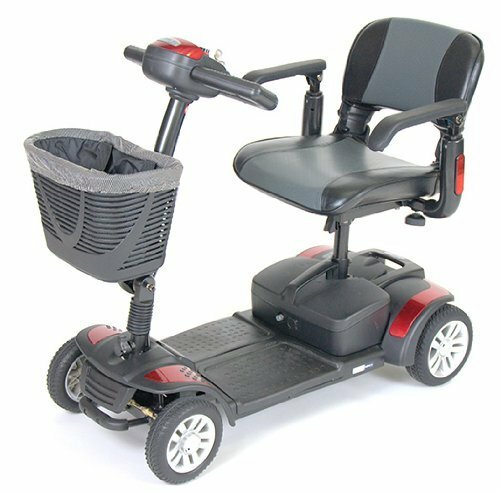 The recreational ones are usually faster than the power chairs and they are great for riding around the neighborhood with the grandkids and commuting to your nearest grocery store or pharmacy. They also travel longer distances, some up to 45 miles! The mobility scooters or power chairs, are designed for the elderly or disabled, providing them a way to stay independent and go everywhere inside the house or outdoors too! They are usually slower than the recreational ones and very comfortable too! I live in Southwest Florida and I see a lot of folks riding those here! The gorgeous looking orange senior scooter you see on the picture above is considered a recreational power mobility scooter. It is very fast and can reach speeds of up to 18 mph and travel up to 45 miles per charge! But its best feature is that it can also go slow, as slow as 1/2 mph if you need to ride it inside the house! 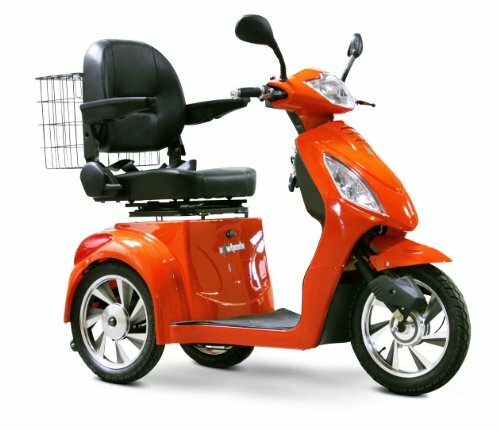 So you can actually get the best of both worlds with this amazing orange mobility scooter! *All mobility power scooters for seniors from this page were carefully selected by me based on my own research done online and personal preference. Best Mobility Chairs for Seniors! This 4 wheel mobility scooter chair for seniors is considered a life changer for many folks! It is very easy to put together, it charges super fast and it’s also pretty easy to fold and carry in a trunk when traveling somewhere. It is one of the best gifts you can ever give a senior, as it really helps them get some independence and mobility back! The speed is about 4.5 mph, so it’s pretty safe for the elderly and it goes about 15 miles per charge. It also fits people up to 325 lbs. Besides being perfect to use inside the house, it’s also great for going to the zoo with the grandchildren or to the mall, casino or fishing trips! This beautiful yellow mobility senior scooter chair for sale, besides looking gorgeous, has a 320 lbs capacity and it completely folds for easy transportation and storage! It is very stable and very comfortable. It is a fast and very easy way to transport this senior scooter inside any trunk! Perfect for traveling as well! The chair is very comfortable and it is a great way to keep seniors active and involved in family activities and outings. Very Cool Luxury Electric Power Chair Mobility Scooter for Sale! 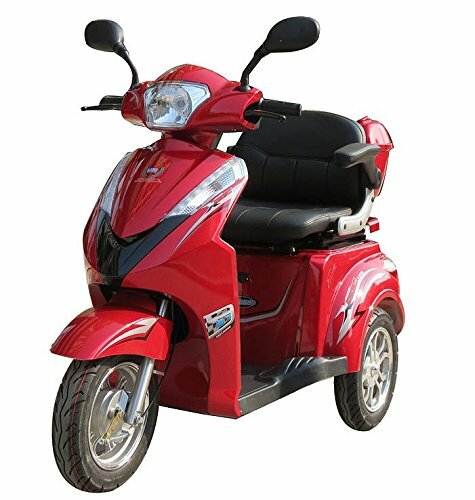 It’s one of the coolest and most luxurious electric power mobility scooters for seniors around!! This beauty will zoom at 8 mph (which is still a safe speed, but somewhat fast!) and as you can see it has a huge and super comfy seat! Holy mother of all senior scooters! 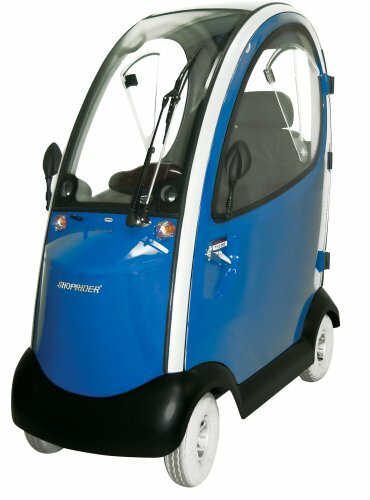 It is an enclosed mobility senior scooter! Who says you can’t ride in the rain? Best Electric Power Chairs for Going Shopping! 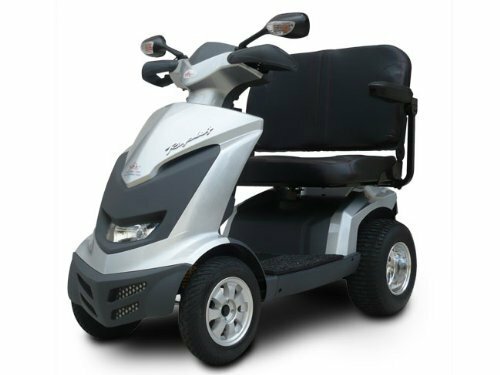 This gorgeous senior blue mobility power chair is called ‘shoprider’ for a good reason! It’s perfect for going grocery shopping! It is ultra-comfy, ultra-fun to ride outdoors and it has a cool front basket for carrying your stuff or a couple of shopping bags around! I love that it also comes with a handy rear view mirror and rear lights. This is a great travel power scooter chair for seniors that can be easily disassembled into 5 pieces. The range is about 9 miles per charge and the speed is 5 mph. It is very stylish and great for taller seniors, due to the extra foot space! The comfy armrests can also be adjusted for the right height for you! It is very compact and lightweight as well. Fast Mobility Senior Scooter with Comfy Seat! This one goes up to a distance of 45 miles per charge!! The speed is 15mph and you can ride it on the sidewalk! How’s this to get your grandfather outdoors? It has a 500 watt motor and it also comes with a nice under seat storage space! The top speed is 15 mph! 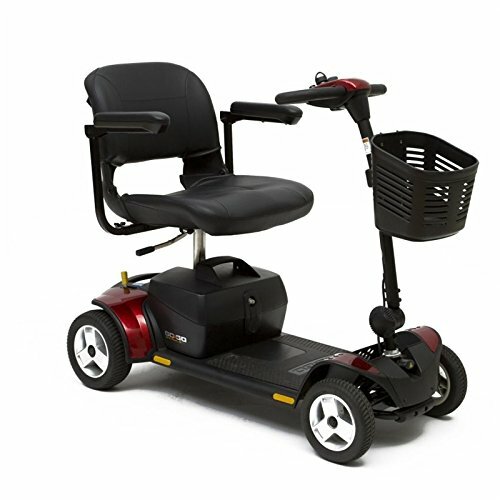 It is a great way for seniors to commute around the neighborhood. 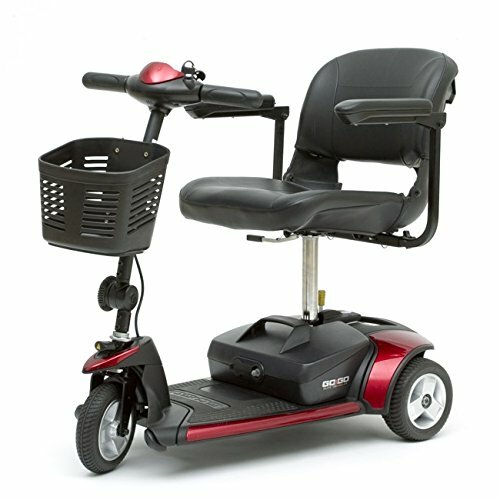 This is easily the fastest mobility scooter on the market for the elderly! Not to mention it’s fun! This is an awesome travel scooter for the elderly! It fairly affordable and literally life changing for many seniors! They can go to their local park, drugstore, grocery store or take pictures of birds and just enjoy the sun! It has a pretty cute and handy front basket! Great gift for your grandfather! 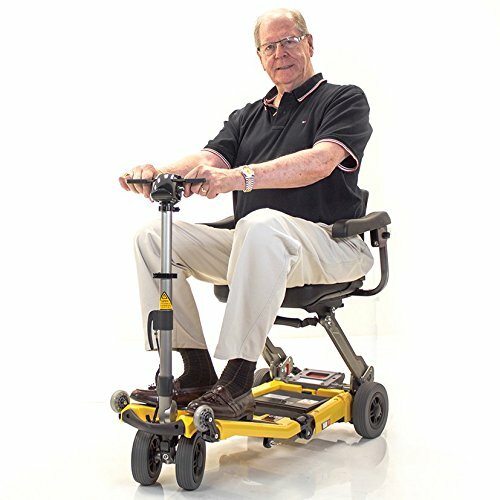 Great power scooter for seniors! 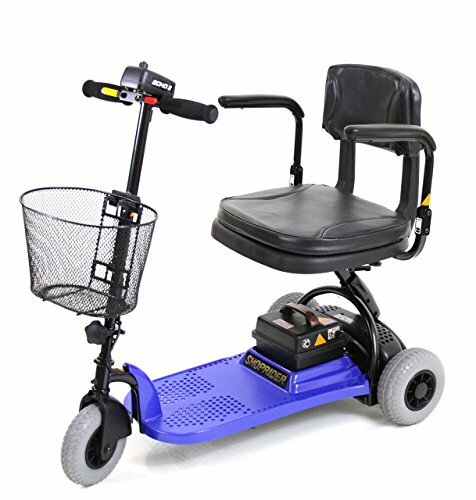 This is one of the cheapest 3 wheel medical power scooters for seniors! I have been looking for one of these for my mother, who is having difficulties walking due to a spine problem. I am on a budget and cannot afford the more expensive ones at the moment. This seems like a great option! It looks very comfortable to ride and it has a great basket! *Best Electric Tricycles for Sale! am very interested in you senior mobility scooters. Hi Virginia! Thanks for visiting! All you have to do is click on the pictures and then you can see all the prices and other specs! If you have any other questions let me know!